Bill Simmons, author, editor-in-chief of Grantland, and owner of the sports corner of the internet, has popularized an idea that he calls "The Ewing Theory." From Simmons' Wikipedia page: "The Ewing Theory claims that when a longtime superstar who has never won a championship leaves the team via injury, trade, or free agency, and the media writes the team off, the team will play better." The theory takes its name from Patrick Ewing, the all-star center and franchise player for the 1990s New York Knicks, due to the fact that the Knicks always seemed to play better when Ewing was either injured or had to be benched due to foul trouble. 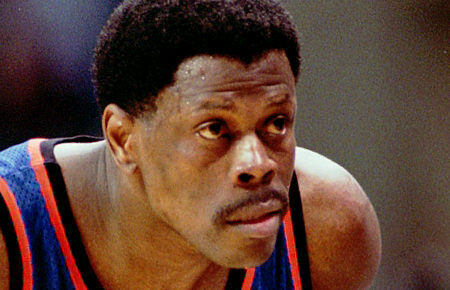 In the theory's most classic example, during the 1998-99 playoffs, Ewing sustained an Achilles' tendon injury, and it was widely assumed that the Knicks' season was over. However, they promptly defeated the Pacers, even without an answer for Indiana's giant center Rik Smits. They did lose in the Finals, to the David Robinson/Tim Duncan Spurs. There are Ewing Theory claims being heard now about this year's Knicks. Amar'e Stoudemire, a perennial All-Star, began the season injured, and pundits immediately stopped talking about the Knick's chances. But the Knicks have begun the season undefeated, prompting some to wonder whether or not the Knicks might actually be better without their consensus second-best player. The thinking, by the way, is that with Stoudemire off the floor, Carmelo Anthony has more room to operate and doesn't need to even consider giving the ball to someone else (For the sake of clarity, it should be noted that Carmelo never gives the ball to other players, but with Stoudemire on the floor, he has to at least consider it). So one of the questions facing NBA pundits this season is this: Have the Knicks gotten better by losing a great player? Has addition by subtraction occurred? Of course, the addition by subtraction model is as familiar to Christians as a Thomas Kinkade print. A common prayer is to ask that "we might decrease so that [Christ] might increase." We know that we are only capable of anything because of Christ who strengthens us (Phil 4:13). What is less familiar to Christians is the underlying truth of the addition by subtraction formulation: no one subtracts on purpose. The Patrick Ewing Knicks discovered by accident that playing without Ewing made them better. 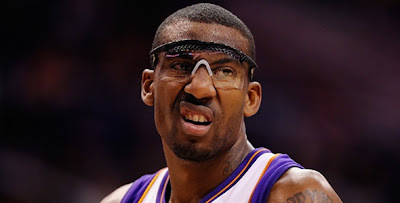 The current iteration of the team would never have sidelined Stoudemire intentionally. And in the same way, we never consciously decrease so that Christ might increase. This is something that God does to us, for our benefit, not something that we do for ourselves. We think too highly of our own abilities to ever think to add by subtraction. So, much like a torn Achilles' tendon or the ruptured cyst in a knee (Stoudemire's ailment), God must break us down against our will in order to resurrect us. It is the only way. I've heard it said that God's job (at least one of them) is to destroy the idols in our lives. Unfortunately for us, our main idol is ourselves. We must be destroyed in order to be remade. Fortunately, God promises to do just that.